Tomorrow I'm hosting a giveaway for awesome digital scrapbooking software from MyMemories! But, today I thought I'd show you how I used the software to make custom water bottle labels. 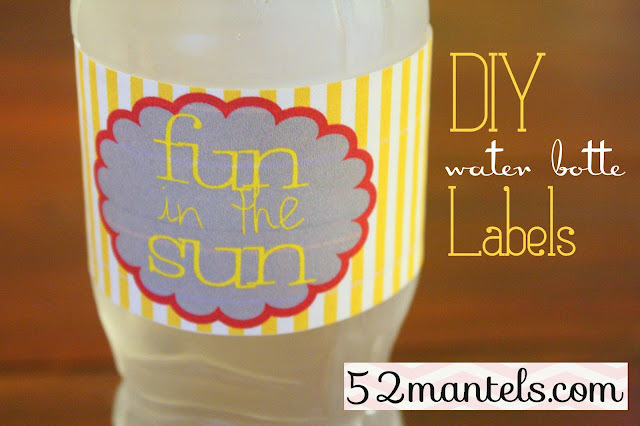 And, because I love giving you stuff, I'm offering the fun, Summery water bottle labels as a free printable! Before we get started, I have to say this software is SO easy to use! I made these labels the very first time I fired up the program. 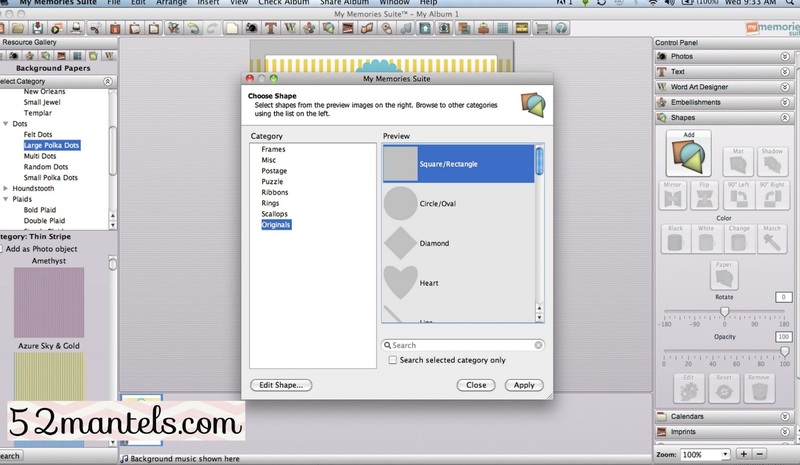 The software is laid out so easily and is very intuitive to use! 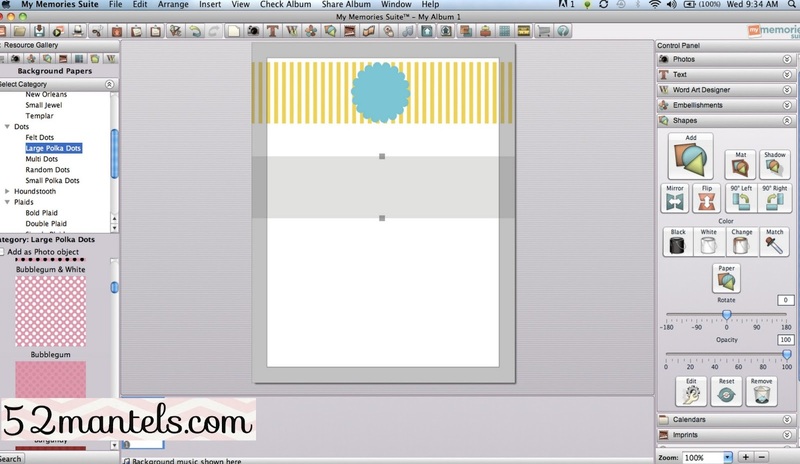 ..then size that rectangle to be the entire width of your page (so 8.5") by 2 inches. You'll place 4-5 of these rectangles on your page! You'll notice on the right-hand side of the program, under shapes, there's an option to add color or paper to your shape. I added paper and chose from the papers that came with the program. I went with yellows and grays for the backgrounds of my labels. After I had all my labels filled in with paper, I added another shape to the center of each label. There are many shape options, so I chose to make each label different. You can customize the colors and frames on the right sidebar. I printed my labels directly from the program on plain printer paper! Easy as can be. To put your custom water bottles together, cut out each rectangle and wrap it around a bottle (after removing the brand label!) and secure it with Glue Dots. Ta-da! You're free to grab my Summer labels if you'd like! Just right-click and download to your computer. 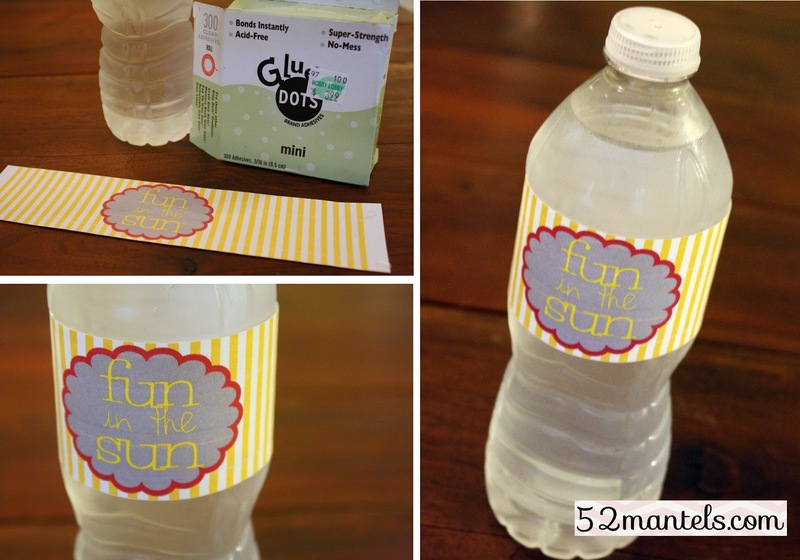 Custom water bottle labels are a very inexpensive and FUN way to dress up a party! But, that's not all you can do with this software! 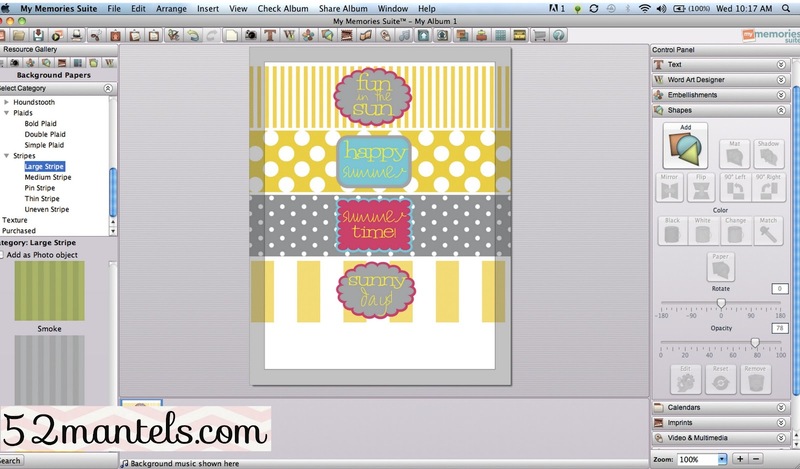 You can use it for digital scrapbooking, custom party printables, Christmas cards, etc! I know I'll be using this program a lot. 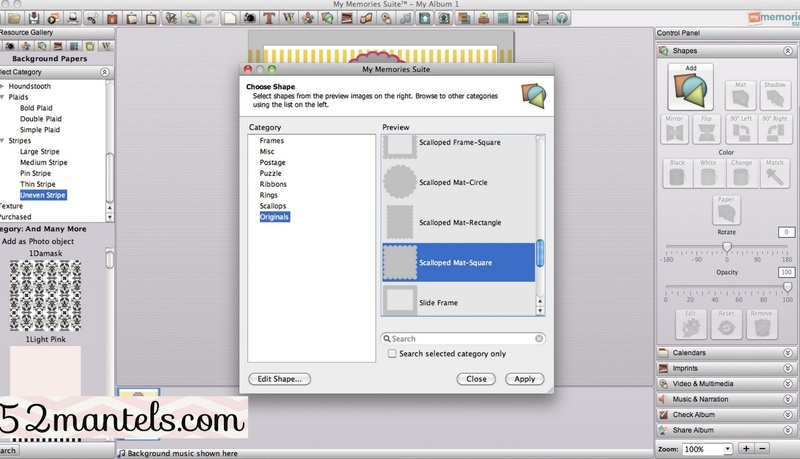 If you come back tomorrow you can enter to win a FREE copy of the MyMemories Suite Software. Fun times. These look great! I would love to use this software to make labels for jams and jellies. 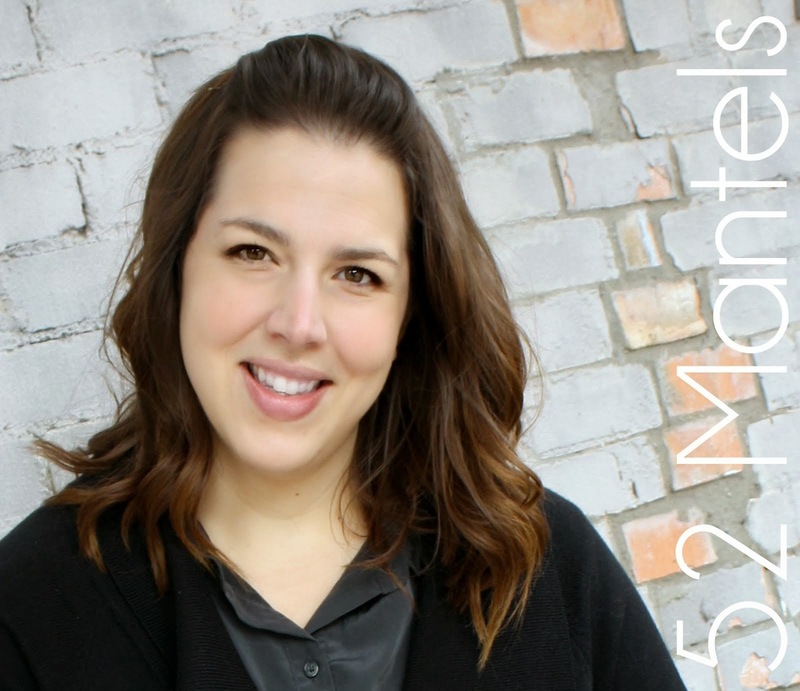 Thanks for sharing your printable. How cute! You make me want to get some printer capability on my laptop!! I love printables! 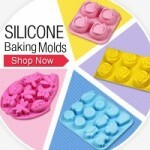 Just pinned these! Those would be perfect for a summer party! Hope you're having a great day, Emily! 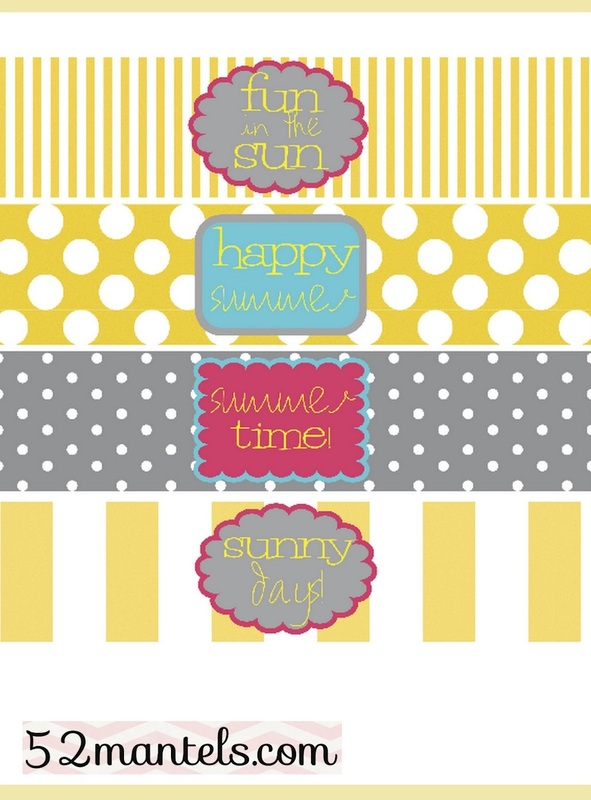 Lovin' your summertime labels! Thank you! Oh I am definitely going to try this!! Thanks! Those are so cute and beautiful. I was wondering if there is an easy way to save what you make in My Memories Suite as a JPEG. 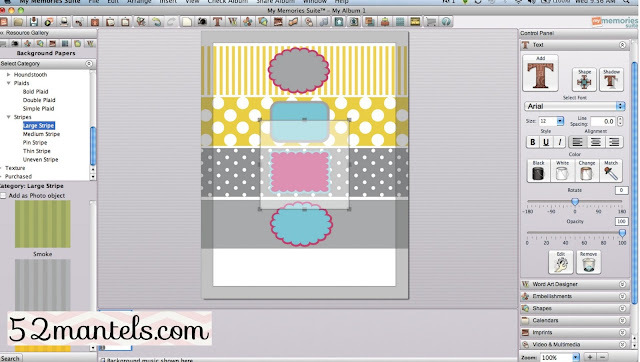 I have this software for a giveaway but I'm not sure how to turn the printable that I made into an image to share. Thanks for any help that you can offer! Oh my goodness! I have had this software forever, and didn't know what to do with it! Just used it to make my own water bottle labels thanks to your tutorial! Thanks so much! Do you find the plain paper falls off due to condensation from the water bottles? I'm using some of these for a beach party. I appreciate your posting this. Is this technique could create all kinds of personalized product label printing for weddings, holidays, birthdays, etc. Than how just a start all these process. Wonderful! This is just so amazing, the tutorial and all those tips. You really did an excellent job in making those custom-made water bottle labels. I really like the design and not to mention that it is easy to do. Thanks for sharing!